You can protect your family and your home with a backup generator that stands ready when you need it most. The next power outage could be tomorrow or next week. The U.S. power grid is grossly underinvested and aging. There are heightened power outages all over the country – in fact, the average number of power outages in this country doubles every five years. Add to this aging infrastructure the increased occurrence and severity of major weather events plus a growing population taxing local grids, and you have a “perfect storm”. How long can your family be without electricity? A home generator is an affordable solution to keep your family safe, your home secure and to prevent loss. What types of generators are available? Home backup generators require a constant and reliable source of fuel. Most common are natural gas generators and propane fueled generators. For commercial applications, diesel generators are available. What is the difference between a standby generator and a portable generator? 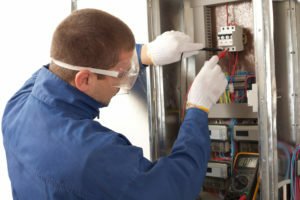 A standby generator requires permanent installation and is permanently connected to a fuel supply and your home’s electrical panel. A portable generator is fueled by gasoline, is used for temporary power for one appliance which is plugged into the generator when needed. Use a standby generator if you want to provide power to heating and central air conditioning and/or more than one appliance at a time. 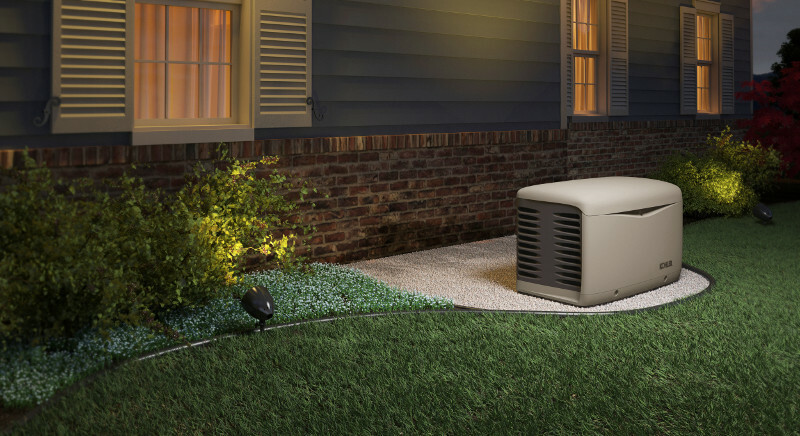 A standby generator delivers instant power whether you are home or away. It is important to know that portable generators must be stationed out of doors as they pose a carbon monoxide risk in a confined space. Using propane or natural gas is also less expensive than gasoline as a fuel source. What is the difference between the different sizes of generators?The perfect generator for your home is sized based on your system and power needs. Our service technician will meet with you to discuss your requirements for standby power and that will dictate the size of unit that will be able to deliver that much electricity to your home. What is a transfer switch? There are two types: automatic transfer switches and manual transfer switches. An automatic transfer switch senses when power is interrupted from the electric utility and automatically transfers the source of power from utility lines to your generator. You can also do this manually but someone must be present at the time of the power interruption to effect the source transfer. Most homeowners choose automatic transfer switch operation to protect their home when they are at work or on vacation. How does a home generator work?A generator will produce electricity for your home when the power from your utility company is interrupted by sensing the service interruption. It delivers power to your home usually within 10-30 seconds. When electricity is restored, the generator’s sensors cool the unit and shut it down. The system also includes a service breaker to protect the transfer switch as well as protect the circuits and breakers from electrical strikes and power surges. 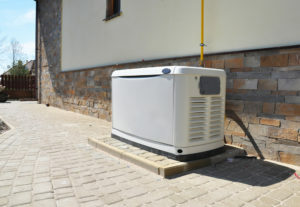 What types of cooling systems are available on backup home generators?To keep from overheating, generator engines are either cooled by antifreeze (liquid-cooled) or cooler outside air (air-cooled). The type of cooling is determined by the size of the generator with air-cooled units sized for under 22 KW and liquid cooled sized for generators from 15 KW to 59 KW. What is the difference between a home standby generator and a whole house generator?Strictly speaking, a home standby generator powers up from 8 to 16 circuits in your home. This is a good option for small homes or when you don’t need every circuit in your home operational during a storm or power outage. A whole house generator is just that: it is sized to power up every circuit in your home which can range from 15,000 watts to 59,000 watts depending on the size of the home and the number of circuits. Do I need to maintain my generator?As with any motor, a generator will require periodic oil and filter changes.Many generators will run for a minute or two automatically each week to keep all systems running smoothly until you need backup power. 24/7 monitoring of incoming voltage from your utility provider. 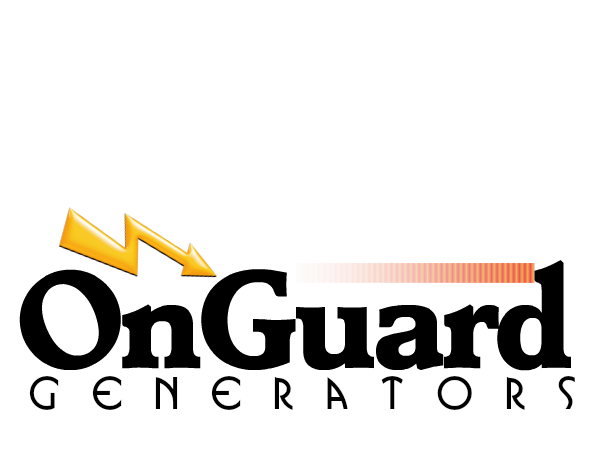 The ability to close off the power supply safely from the utility when the generator engages. A single point of contact for generator installation: one company to help you select, install and service your generator. Must keep key systems in your home running seamlessly. What Size BackUp Power Do You Need? Our service technicians can go over your preferences with you to see which circuits you want to prioritize for standby power when they visit your home. We offer both a free assessment and a free estimate for home generators. Our free assessment is the best way to determine the size unit that will fit your needs perfectly. 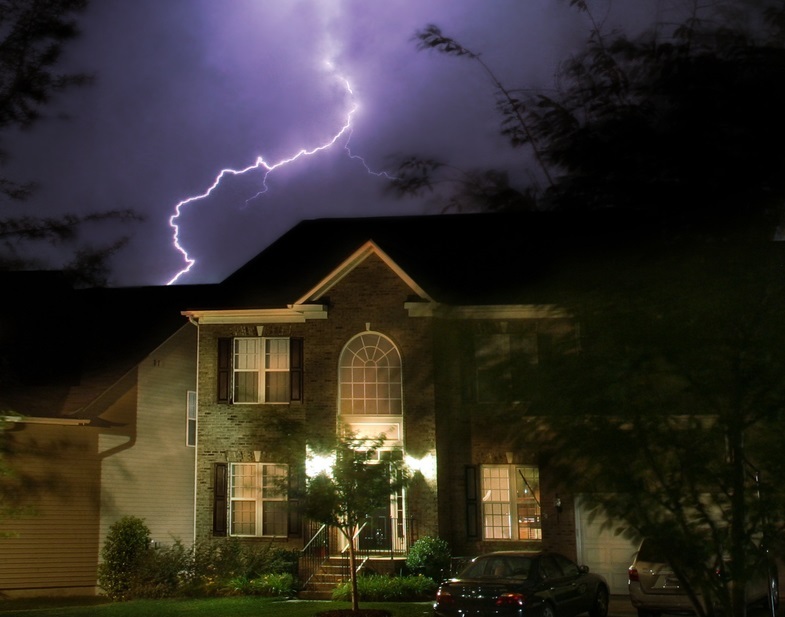 Few homeowners employ every circuit in their home at the same time – even during an outage. So whether your home has 100 amp, 200 amp or 400 amp service, you most likely will not need a generator that will power every amp circuit at once. This can be somewhat misleading when you look at sizing charts…your needs, and your investment, will probably be less than a chart will show. Why be left in the dark or out in the cold when you can be warm and safe inside with a standby generator. We install and service the right generator for your home and your emergency power requirements. OnGuard Generators is your source for whole house generators in Chicago and the surrounding metropolitan area. We sell and service home generators, natural gas generators, propane generators, backup generators and standby home generators from GE Generators, Generac Generators, Kohler Generators and more. Give us a call at (844) 400-9518 for a complimentary in-home assessment for a whole house generator for your Chicagoland home.